Most educators are aware of the various Google Apps such as Google Docs, Google Images, Google Calendar and many others. Fewer are acquainted with Google’s free and safe environment for a school where students, teachers, teacher librarians, teacher technologists and other specialists can collaborate without the worries of intrusion by outsiders. Within this closed environment, there are selected Google Apps such as email, documents, spreadsheets, presentations, forms, sites, video, and start up pages among others. The authors introduce each of these tools to get you started, but most importantly concentrate on building knowledge and learning experiences with students in collaboration with classroom teachers and other specialists in the school. Building critical thinking, problem solving, collaborative writing, and collaborative knowledge building are just a few of the emphases covered in this book. 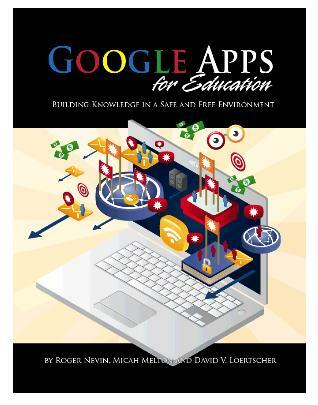 Additional chapters concentrate on how to set up a Google Apps Education school, convince administrators, work through barriers and many other suggestions for adopting this fast-moving Google product that is perfect in times of economic challenges.